LIVINItaly has long been seen as Leeds go to authentic independent Italian for those craving the best in pizza dough and that easy laid back Mediterranean atmosphere we all crave. In fact, LIVINItaly on Granary Wharf is almost its own little Italy with a sun trap which on the right day could have you believe you were in down town Rome or the Venice canals. Ok – I maybe getting ahead of myself rethinking Leeds has somehow transformed into our continental cousin but one thing is for certain - LIVINItaly does things really well – from their fresh food to brown bottled imported ales – it is hard not to be impressed with their stamp of authentic Italy firmly on Yorkshire. 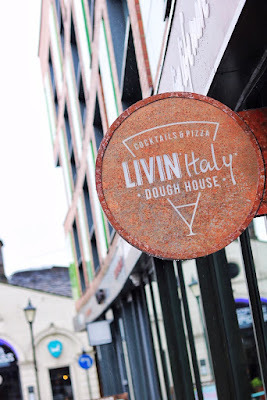 As if this slice of heaven on Granary Wharf wasn’t enough, the family behind LIVINItaly have opened up Leeds city centre Dough House. Located on Cloth Hall Street near to the corn exchange, Dough House is ultra chic, super trendy and typically Italian. #22 Making a big deal out of small plates – simply put, Black Market are serving up flavours which are unquestionably some of the best in our region. We headed down last Saturday to meet owners head chef John, business manager Justina and their four-month-old Black Market restaurant. Taking on a grade 2 listed renovation challenge and being told the job would be complete in 12 weeks, it wasn’t until September last year and six agonising months later when the first guests to Black Market arrived through the door. The wait had been worth it - Black Market is small, bright, modern, chic and every other word imaginable to describe a cool and trendy independent eatery in the heart of Chapel Allerton, Leeds. The look and feel tick every box, but it is the food which makes Black Market stand out as one of the most exciting places we have visited in a long time. #21 Expect glitz and glamour at the brilliant Dakota Deluxe this holiday season. The festive season raised its head last week as we were invited to try out the outstanding new menus being offered at Dakota Deluxe in Leeds. With a five star rating on Trip Advisor and ranked as the best hotel in Leeds, it is fair to say when we were asked to visit last week to try out their seasonal menus, we were quick with our reply. Dakota Deluxe offers an elegance hard to find elsewhere in Leeds. Guests are welcomed in style with an interior that sets a sophisticated tone. Having visited before, it is quite clear that Dakota Deluxe is a place which means business whilst also providing a backdrop for those who want to kick back, relax and enjoy an excellent experience in fine food and drink. 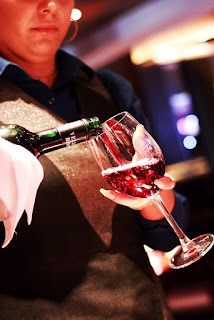 #20 Good food, drinks and gaming at Victoria Gate Casino last Wednesday! You won’t be left short on good food, drinks and gaming at the brilliant Victoria Gate Casino in Leeds. 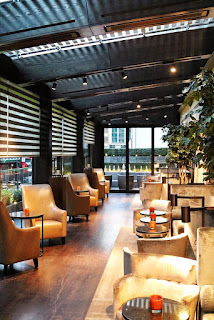 We were welcomed into their trendy Curve Bar last week to sample cocktails before a three course tasting menu. Overlooking the busy action of the casino floor below; I opted for a Brockmans Bramble signature cocktail. It tasted excellent - fresh and delicately served. With various other names from the Queens English to a Smugglers Mojito – there is certainly an impressive list of champagne, classic and contemporary cocktails on offer here. 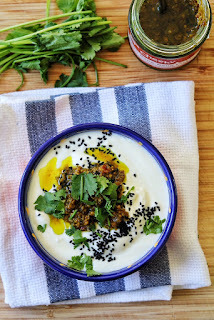 Ideal as starter, delicious as a side or perfect on its own – this Cheeky Food co Bang Bang Pickle with yogurt will taste simply fantastic. 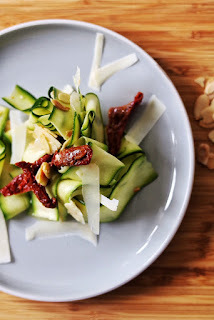 I used this recipe to accompany a starter with poppadom's for a vegetarian curry night with friends – the result – a definite crowd favourite. Arriving for an all out beer style stag do - i was left unsure whether a visit to Barcelona would include good food - let alone authentic style tapas. I was in fact proved wrong and we actually got the chance to eat in some really fantastic places. We ordered tapas one night and one of the small plates which arrived was this raw zucchini with truffle oil. It tasted absolutely amazing and therefore couldn't help but remember the recipe to then make once i had arrived home. #17 Home from Home – An April visit to the Home dining experience in Leeds. Discretely located and hidden above the shops on Kirkgate, only a sign titled ‘Home’ will give you an idea that something awaits. We opened the door last Thursday and stepped away from the busy street. 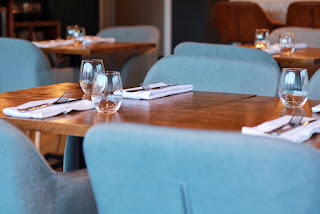 We climbed a flight of stairs to be met by smiles and a warm welcome – we had arrived at Home – a stylish and comfortable new restaurant from innovative and new thinking chefs Elizabeth Cottam and Mark Owens. Masterchef meets Michelin star – the duo behind Home use each month as an opportunity to showcase the very best in locally sourced and seasonal food.